Smarter Mail Hosting is a team collaboration server for fully featured email and group chat. It’s very easy to access and use. It offers all the necessary features and support to the client. Whenever you are logging into Smarter Mail, you are welcomed with a simple but powerful web interface. Whenever you will login into your all read or unread messages, space usage will remain in arranging manner. 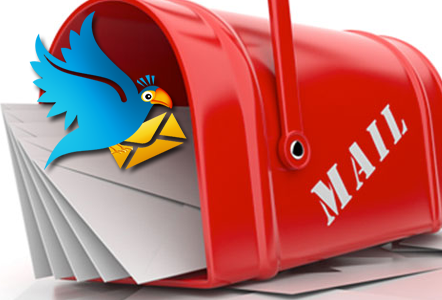 This mail server is designed in the way that you can easily open, compose, read and reply to any messages. It is designed keeping Hosting in mind and easily configured on mobile phones as well laptops. It manages all the contact details including calendars, tasks, notes, and contacts. It includes smart tools which are reliable, fully functional and easy to use. It’s very simple to understand, install and work with. Apart from that, it’s also a cost effective solution for us as we get a lot of facility at a very affordable price. Smarter email makes our web-based application easy by providing instant access from any part of the world. Quickly and well-managed email server maintains tasks and security features. A Smart Mail web server allows white labeling and a customized user interface at no additional charges. In this, you can add customer’s help links in the footer to direct the customer to your website. Now a day’s email servers become the communication hub for many organizations. So, in the case of any interruption to your customer service will give a bad impact on your services. But Smarter Mail server always keeps a server ready and in the case of any server failover, it switches you to another server without any interruption in your communication.